“As an emergency measure, we determined escape routes for each individual and established a permanent night watch,” writes Patrick z’Brun. “During the night there was another rockfall, but it did not cause any damage. The people (including the porters) were definitely traumatized and partly refused to go back into the tents.” The next day the Swiss climbed further up to take a look at the danger zone. 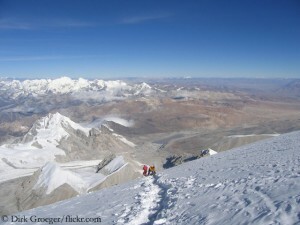 “On site – at about 4,800 meters – we realized that this was only a prelude. 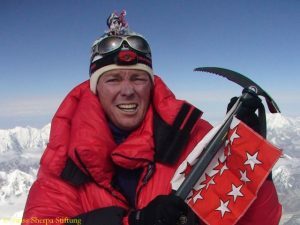 Up there, there were still a lot of boulders waiting, and we discovered some cracks,” reports the 56-year-old, who had climbed Mount Everest in 2008. 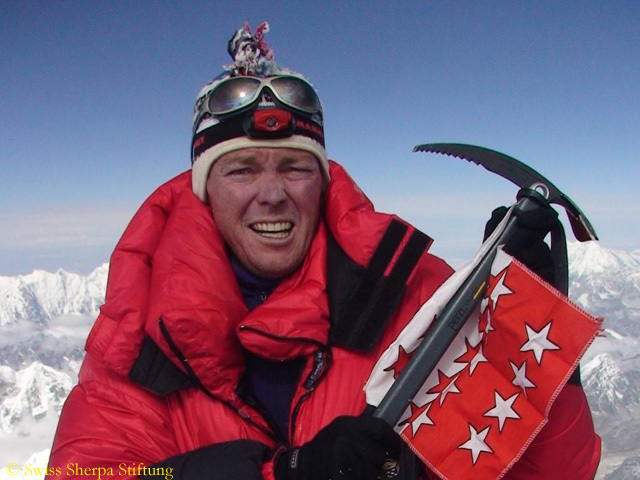 “It was only a matter of time before the next incident happened.” The Swiss packed up – and later found a nice alternative destination nearby: they succeeded in the first ascent of a 5633-meter-high summit, which they named “Swiss Sherpa Peak”. 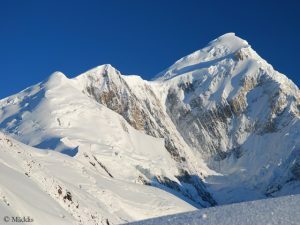 Spantik – first climbed by the Germans Reinhard Diepen, Edward Reinhard and Joachim Tietze via the southeast side in 1955 – has been a popular destination for commercial expeditions for years. Kari Kobler, whose company had organised the Swiss team’s trip this summer, described the seven-thousander to me as “a mountain that had been really good-natured so far”. It remains to be seen whether Spantik will continue to appear in the “Kobler & Partner” program in the future. An alternative location for the base camp and also a route variant are to be examined. According to Patrick z’Brun, local porters pointed out that until ten years ago the base camp had regularly been pitched up further down the glacier and that even earlier, mountaineers had climbed via an eastern ridge directly to Camp 1 in order to avoid the danger zone. 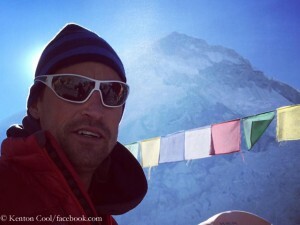 For the Polish climber Rafal Fronia, the winter expedition on K2 is over. 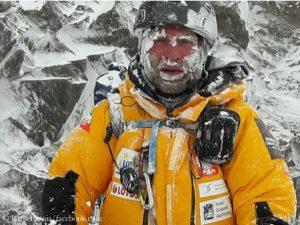 “Today, at 2pm local time, while approaching to Camp 1 (5,900m), a smoldering falling stone hit Rafał Fronia in the forearm causing a fracture,” expedition leader Krzysztof Wielicki informed from the base camp on Facebook. China is closing Tibet for climbers for the rest of this year. 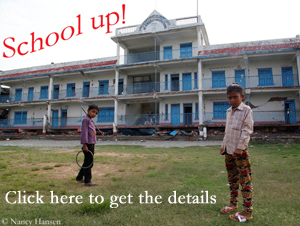 “That is correct”, Dawa Steven Sherpa from the Nepalese expedition operator Asian Trekking confirms to me by email. “The Chinese authorities have decided not to issue permits for climbing in the autumn season in fear of further seismic activity telling that the mountains may be in a dangerous condition.